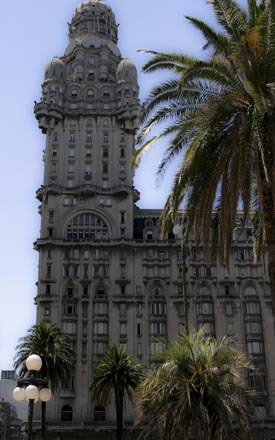 I have been lucky enough to have been to this port quite a few times now on a lot of different cruise lines, and have been able to explore only a small part of what is on offer in Uruguay. This area is bordered by Brazil on the east and northeast and Argentina on the west. Most of my time in this city has been spent walking around on foot “I have never encountered any trouble doing this” and I have walked from the docks to the city and back to the seaside carrying my camera without problems, mostly during the day, as most times I have had to get back to the ship for the 6pm to 7pm sail-away. 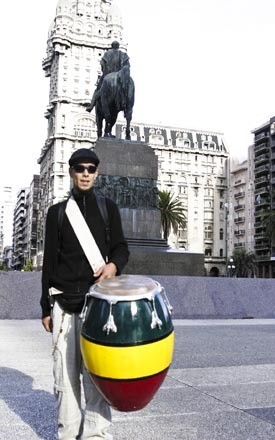 I have always found the people of Montevideo to be extremely friendly and lively, as you walk around you get the feeling that music plays a huge part in their culture. 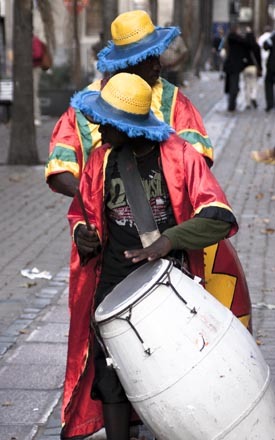 I found that drums in particular were the instrument of choice with powerful drum beats that moved them greatly. 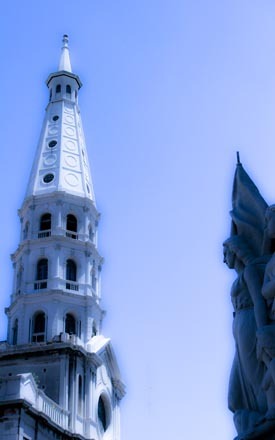 They are also very creative as can be seen by their statues, buildings, art and craftwork. From the docks you turn to the right and less than a city block away you enter a bustling area where you will find a bustling café area with market stands and a large group of restaurants under one roof called the Mercado Del Puerto (Port Market) inside this impressive large shed like building you can enjoy all types of seafood as well as every meat dish that is available in Montevideo, believe me they are very big on beef here. Pervading the air throughout the building is the smell of barbecue cooking, As the majority of the food cooked here is done on open grill fires. The food is great and they are very generous with the amounts. So after we have been stuffed with food, its off exploring again, as you wander around the area there are small stalls selling everything from masks made of leather to the national drink called “mate” which is a herbal tea they drink it from special pots with a metal straw. It’s a light green color and is placed into these cup like pots and a small amount of water is placed inside and is topped up as needed most of the herb remains dry with only the bottom layer getting wet, I personally did not find it to my taste, yet the locals love it and drink it at every opportunity. As I made my way through the city walking around taking photos at every opportunity I wound up in the barrio (district of town) called Pocitos. 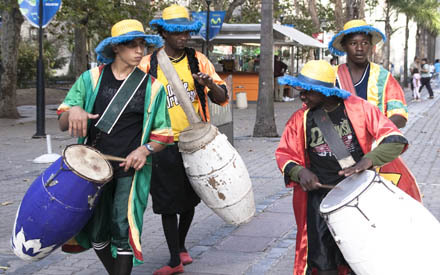 It is where you will find most of the bars and has a very vibrant and trendy nightlife. From there I walked to the main square called Plaza Independence where the views are spectacular, it is from here you enter the main shopping area of the city where you can just meander your way through each street finding everything from hotels, clothing, leather goods in particular, shoe’s, games, movies, almost anything that you need, as well as loads of roadside cafe’s and coffee shops. Now here’s a bit of trivia. Soccer is the national sport and pastime. Uruguay hosted and won the first ever world tournament in 1930 defeating Argentina 4:2 in the finals and have also won the 1950 world championship against their rivals Brazil 2 :1. They have also been crowned South American champions for a record 15th time after wining against Paraguay 3:0 winning the Copa America. you can experience this feeling after you spent some time in this city looking around many of the shops selling the soccer memorabilia shirts of the current teams, hats and scarf’s and everything in between. 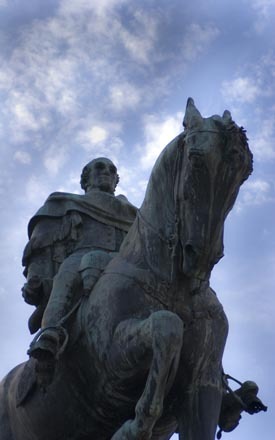 There are many other things to do in Montevideo apart from exploring the city and checking out the restaurants. You could spend some time in the countryside at some of the cattle ranches watching the Gaucho’s (Spanish cowboys) as they explain and demonstrate how they spend their time working with the cattle and horses. 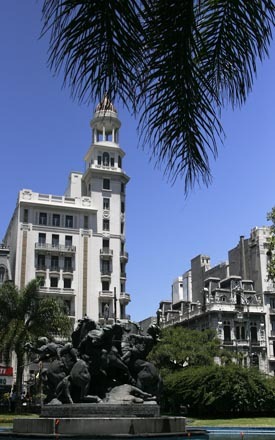 There are also many areas with beautiful white sandy beaches as well as a large and varied amount of art, statues and buildings unique to Uruguay. Well back to me, after I had walked around the city for a few hours I headed back towards the port area and found a small tavern style restaurant, this one has become one of my favorite places to eat whenever I am in Montevideo. The fare is simple yet wholesome, it is always full of locals not tourists and Spanish is the spoken language here not English and although I do know a little Spanish I have never had any trouble explaining that I would like some good food along with a half bottle of a good wine to go with the meal. There are loads of these cafe’s around the city but most must be stumbled upon as they do not look like a regular restaurant as most of them do not advertise what they are outside on the street. Wine is another one of Uruaguay’s secrets and I have been lucky enough to sample some of the great wines from this region. (I always pick up a few bottles to enjoy back on the ship). Sometimes you get lucky and have an overnight stay in a port. One time I was supposed to make it to dinner and then off to a club with a group of coworkers, unfortunately I was running late and missed them before they left for a restaurant unknown and I didn’t have any of their mobile phone numbers, so I missed out on a great dinner but knowing the area I caught up with them at the Irish pub Shannon’s we then headed out to the casino for a time before making it back to the pub scene for some live music and then back to the ship bar for a few more drinks. But alas that was another time as this day I made it back to the ship and was working soon after as we sailed away into the night. 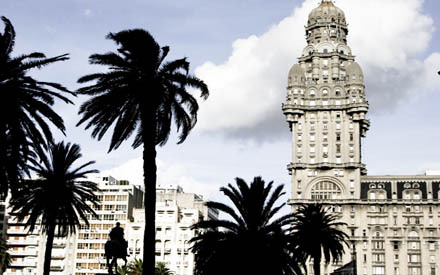 So goodbye to Montevideo Uruguay and off to our next port. Cape Town – South Africa.